WE’RE NOW DUMPING less waste in landfills than ever, with more waste recovered and a high percentage used for fuel. The Environmental Protection Agency (EPA) began recording waste statistics in 1995. It said today that 2012 was the first year that a higher percentage of municipal waste was recovered (56 per cent) than disposed of to landfill (44 per cent). 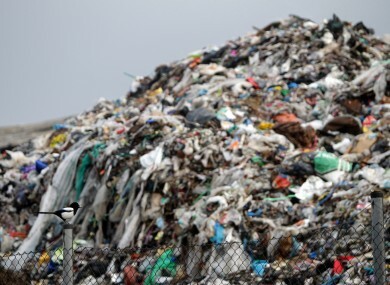 The initial estimates indicate that the proportion of municipal waste recycled in Ireland in 2012 is 38 per cent, down from the 40 per cent recorded in 2011. The increase in the recovery rate for waste was mainly through an increase in the use of it as fuel (energy recovery). The figures mean that Ireland is on track to achieve the 2013 EU Landfill Directive target of diverting biodegradable municipal waste from landfill. But the EPA warns that meeting the 2016 target is at risk. This could particularly be the case if economic recovery leads to increased waste generation. Although we are generating less landfill waste, the number of landfills accepting municipal solid waste for disposal has also decreased – from 19 in 2012 to 11 by the end of 2013. The EPA puts the change down to increases in the landfill levy and more opportunities for operators to send municipal waste to recovery. When it comes to the increase in use of waste as a fuel, it says that this is due to a few reasons. The export of refuse derived fuel to waste-to-energy incinerators on the continent has increased. Dr Jonathan Derham, EPA said that this news shows that Ireland is more efficiently using resources and reducing the waste burden on the environment. The decrease in the proportion of municipal waste recycled is a negative trend which needs to be kept under review. We need to continue to focus on waste prevention, reuse and recycling as the economy recovers to avoid an associated increase in waste generation and to ensure efficient use of resources. Email “We're dumping less waste in landfills - but also recycling less”. Feedback on “We're dumping less waste in landfills - but also recycling less”.